NASA will soon launch the most advanced laser instrument of its kind, beginning a mission to measure changes in the heights of Earth’s polar ice. Ice, space lasers, penguins and a workhorse rocket’s last liftoff – it’s the stuff great tweets are made of. The ICESat-2 spacecraft passed the Critical Design Review this week, at Orbital Sciences Corporation (OSC) in Gilbert, Arizona. Congratulations to the ICESat-2 Ground Systems team, which passed its Critical Design Review today at NASA Goddard! Congratulations to the MABEL team for a successful series of flights this week, as the Proteus aircraft returned to Mojave, CA. Congratulations to the ATLAS team -- ICESat-2's instrument has passed its Critical Design Review! Congratulations to the ICESat-2 team for passing the Critical Design Review! ICESat-2 measures Earth's height - and our new educational exhibit can measure yours! Congratulations to Anna for her win in the NASA REEL Science Communication Contest! Operation IceBridge began its Antarctic campaign, including flights where ICESat-2's orbits will converge. How do you move a satellite's optical bench across a cleanroom? Very slowly. Watch a timelapse. Tracking Arctic sea ice thickness is one of the biggest challenges for polar scientists -- and one that ICESat-2 will help address. Xploration Outer Space talks with the ICESat-2 team and tours our ATLAS cleanroom in its latest episode - check it out! ATLAS engineers prep for a comprehensive performance test of electrical components. ATLAS on the move! Engineers preped to transfer the box structure into a thermal vacuum chamber at Goddard. Cleanroom team moved ATLAS instrument to the thermal vacuum, to simulate the harsh space environment. Engineers check out the ATLAS box structure, before closing the door of the Thermal Vacuum Chamber for testing. Congrats to the Orbital ATK team that built ICESat-2's spacecraft bus, which passed its pre-environmental readiness review. Return to Room Temperature: The ATLAS box structure has successfully completed a round of thermal vacuum testing. The applications team and early adopters met this week to prepare for the influx of height measurements from ICESat-2. Operation IceBridge took off this morning at 5:28 AM from Wallops Flight Facility! They are currently on their way to Thule, Greenland! It's been a busy year! Last May our ATLAS team started integration and testing for the instrument. Now, they're preparing to unite the two main sections of the laser. ICESat-2 presented a NASA plaque to Montgomery Knolls School in Md, for coming up with a name for our penguin: Paige. A milestone: The Optical Bench was successfully mated to the Box Structure! Check out this time lapse captured inside the clean room by Tyler Evans, Optical Engineer. ATLAS team gives 'thumbs up' to the successful mating of the optical bench to the box structure, yesterday at the NASA Goddard Space Flight Center. Take a front-row seat in the clean room, as the engineering team connects the two main sections of ICESat-2's ATLAS instrument. Operation IceBridge's Arctic campaign wrapped up May 21. Fly along over the mountains of Eastern Greenland in this video, music courtesy of Moby. Think cool thoughts this holiday weekend. Here, these 118 seconds of ICESat-2 should help. We're all fired up! The ATLAS team turned on Laser 1 yesterday, the first time since it and Laser 2 were installed on the instrument. NASA will be giving you an in-depth look at what’s going on with sea level rise around the world - a question the ICESat missions are designed to investigate. Some of the ICESat-2 team -- including Paige the Penguin -- were in Greenland earlier this month! The ICESat-2 mission was out in the field earlier this month, flying an airborne instrument over Greenland to study how green lasers interact with different types of snow and ice. For the first time in its seven years of flights, NASA's Operation IceBridge is conducting overlapping campaigns in Antarctica and the Arctic. How can Greenland's ice sheets still be more than 10,000 feet thick, if carbon dioxide is warming the planet? Kelly Brunt, a scientist working on the ICESat-2 mission, explains. At Explore@NASAGoddard, visitors got to try on a scientist's polar jacket, check out an ice core and watch our glacier races. Congratulations to OIB-North, which has completed its last science flight for the season! ICESat-2’s spacecraft completed a significant risk-reduction testing program last week, to minimize the chance of technical issues uncovered later. That's a nice looking rocket! The ICESat-2 decal has been added to our launch vehicle, being assembled by United Launch Alliance. NASA’s Operation IceBridge, an airborne survey of polar ice, recently finalized two overlapping campaigns at both of Earth’s poles. Close enough doesn’t cut it in the cleanroom at NASA Goddard - so our engineers tested the instrument's pinpoint accuracy. 2015 saw many highlights at NASA Goddard - including the building and testing of ICESat-2's instrument, ATLAS. Congratulations to the ATLAS team on their instrument assembly! Engineers fastened on the door - the final component. Watch as ICESat-2's door is opened in an engineering test. Thanks to the ICESat-2/SCAD Collaborative Student Project for the excellent design of our new banner, hanging by the Goddard clean room. Get ready for a test! The ATLAS team moved the instrument into a chamber where it will undergo EMI/EMC testing. ATLAS passed its Pre- Environmental Readiness Review -- a 2-day review, with 100s of slides presented to the review board. 2016 Arctic Sea Ice Wintertime Extent Hits Another Record Low. ATLAS moves into the Thermal Vacuum Chamber at NASA Goddard to prepare for testing. Operation IceBridge just wrapped a sea ice campaign in Barrow that could help the ICESat-2 mission. While NASA Operation IceBridge was in Barrow, Alaska, several of the pilots, scientists and flight crew visited a local summer camp. What's in these crates? Our laser altimeter exhibit! All together now! ICESat-2 is ready for testing, as engineers at Orbital ATK have attached the ATLAS laser instrument to the spacecraft. Observatory Pre-Environmental Readiness Review passed at OrbitalATK in Arizona. ICESat-2 passes Phase D review! Get to know ICESat-2 by the numbers! ICESat-2 heads south, to New Zealand and beyond to Antarctica, to collect ice sheet elevation measurements. Scientists will soon survey an unexplored stretch of Antarctic ice. The 470-mile expedition will provide the best assessment of the accuracy of ICESat-2's data. After building the sleds, tuning up the PistenBullys, and going for a couple of test drives, the ICESat-2 team sets out. The ICESat-2 Friends & Family Day brought 300 people to Goddard to see the ATLAS instrument, visit the testing facility, and to learn about the satellite and its science. 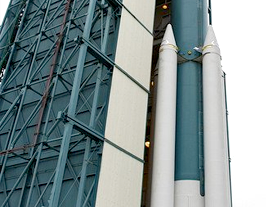 Before orbiting Earth faster than 15,000 mph, ATLAS began its journey toward space riding a truck from Maryland to Arizona, never exceeding 65 mph. NASA’s ICESat-2 mission wants to meet your favorite tree. Create a short video and it could be included in a NASA video on an upcoming citizen science project. Our altimeter exhibit is now at the Smithsonian National Air & Space Museum's Udvar-Hazy Center in Chantilly, VA. Come check it out! Engineers at Vandenberg AFB in California successfully finished the final ground-based test of the ATLAS lasers. Week 1 update: ICESat2 is looking great! Solar array deployed, all subsystems turned on, and we’re busy checking everything out. Navigation works perfectly, guiding us along our planned orbit. IceBridge has completed the first near-time underflight of ICESat-2, only missing the satellite's path over Antarctica by a few hours. We passed our Post-Launch Acceptance and Operational Transition Reviews and are now officially in 'Phase E' as an operational mission. 3 months into the mission, and getting back amazing data of the height of ice, forests, and oceans. Here’s a first look, presented at AGU today. ICESat-2 6 Month Anniversary On-Orbit! Citizen Science App Released to Measure Tree Height! Click and drag a Year (e.g. 2015) to see more entries. Use the dots to navigate through the timeline. ICESat-2 is currently on-orbit. Find the ground tracks here. John Sonntag says every element of his job as a cryosphere scientist at NASA’s Goddard Space Flight Center in Greenbelt, Maryland, excites him. Only 25 glaciers remain inside Glacier National Park — down from 150 in the mid-19th century — and scientists estimate that these peaceful giants that sculpt the homes of grizzly bears and wildflowers will be gone by 2050. 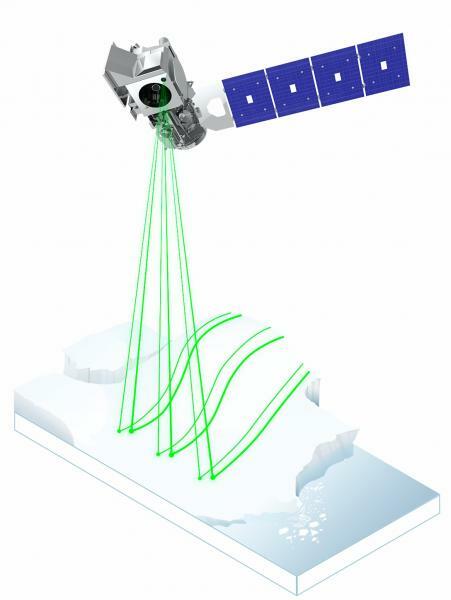 ICESat-2's laser is split into six beams, to better measure Earth's surface. Find out more here. 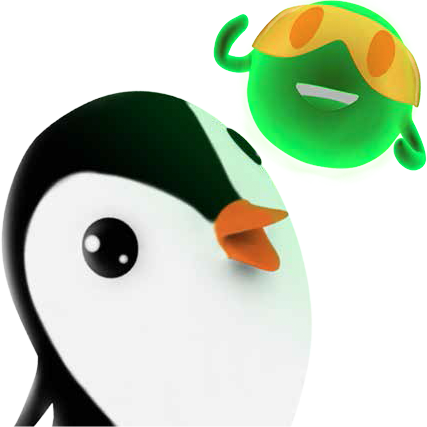 Hang out with Paige and Pho in the FunZone! 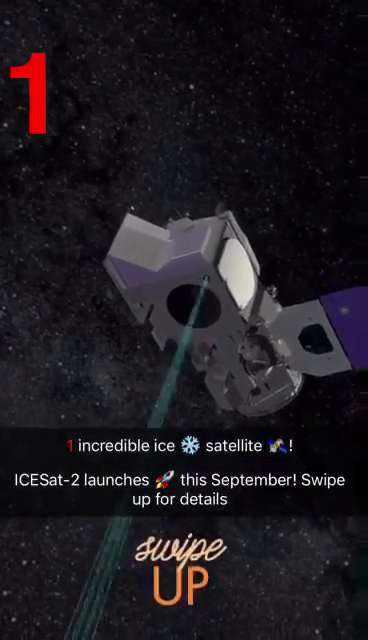 Learn all about the ICESat-2 mission through videos and activities. 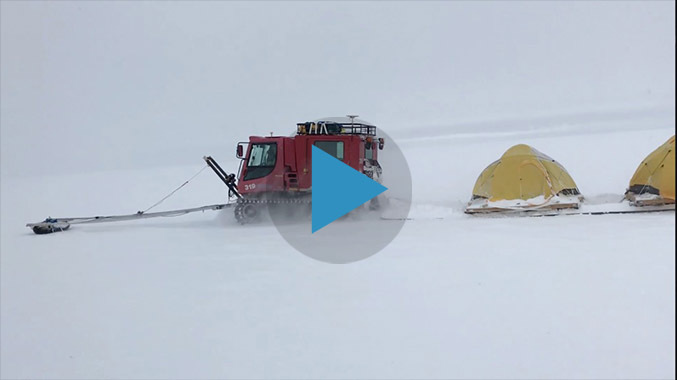 NASA cryospheric scientist Kelly Brunt and ICESat-2 Deputy Project Scientist Tom Neumann recall some of the highlights and challenges from the recent 88-South Antarctic Traverse. The ICESat-2 laser will pulse 10,000 times a second; each pulse will release about 20 trillion photons. Only about a dozen photons hit Earth’s surface and return to the satellite.